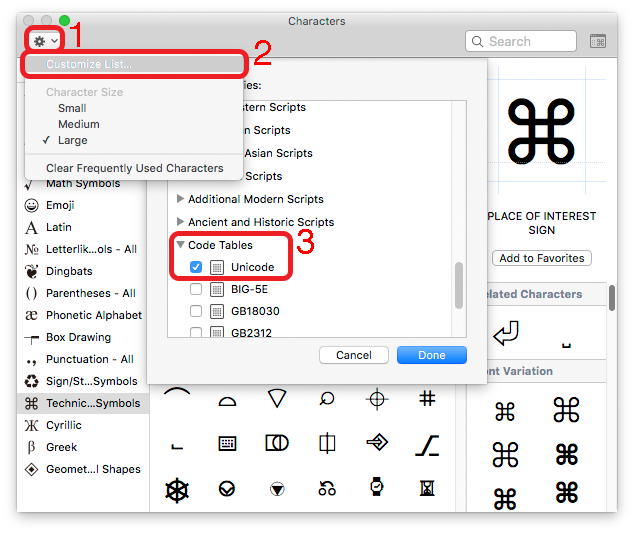 The unicode entry tool in OS X 10.11 (the one displayed in your menu bar if you tick the appropriate box in the first tab of the keyboard settings) allows me to copy information about a symbol. There is an entry to this effect in the context menu of the symbol. However, I can't find an option to just display that information, so I always have to copy the text to some other application if I want to just read it. Am I missing something? If you don't see Unicode data in right-hand sidebar, under your chosen glyph's Name, then you need to add Unicode to your list of categories on the left sidebar. Scroll down the Select Categories list, open Code Tables & check Unicode. Click Done & click any other glyph to make your new information display. Not the answer you're looking for? 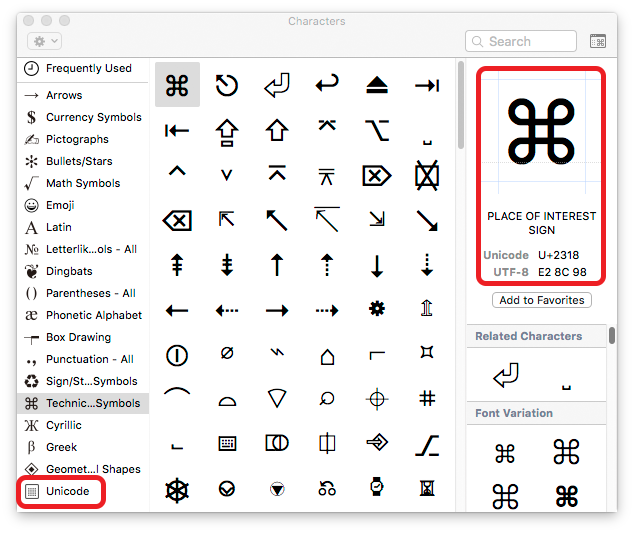 Browse other questions tagged el-capitan text-input input-source unicode .